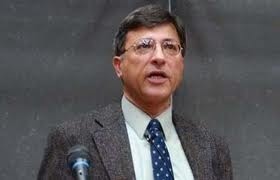 Dr. Pervez Hoodbhoy, a Professor of Nuclear Physics at Quaid-i-Azam University in Islamabad Pakistan, has written an intensely insightful analysis of the problems of science in the Islamic world titled Science and the Islamic world — The Quest for Rapprochement. The entire article is well worth reading. I will excerpt a few paragraphs which highlight the scope of the problem. A useful, if imperfect, indicator of scientific output is the number of published scientific research papers, together with the citations to them. A comparison with Brazil, India, China, and the US reveals significantly smaller numbers. A study by academics at the International Islamic University Malaysia showed that OIC (Organization of the Islamic Conference) countries have 8.5 scientists, engineers, and technicians per 1000 population, compared with a world average of 40.7, and 139.3 for countries of the Organisation for Economic Co-operation and Development. Forty-six Muslim countries contributed 1.17% of the world’s science literature, whereas 1.66% came from India alone and 1.48% from Spain. Twenty Arab countries contributed 0.55%, compared with 0.89% by Israel alone. The US NSF records that of the 28 lowest producers of scientific articles in 2003, half belong to the OIC. According to a recent survey, among the 57 member states of the OIC, there are approximately 1800 universities. Of those, only 312 publish journal articles. A ranking of the 50 most published among them yields these numbers: 26 are in Turkey, 9 in Iran, 3 each in Malaysia and Egypt, 2 in Pakistan, and 1 in each of Uganda, the UAE, Saudi Arabia, Lebanon, Kuwait, Jordan, and Azerbaijan. For the top 20 universities, the average yearly production of journal articles was about 1500, a small but reasonable number. However, the average citation per article is less than 1.0 (the survey report does not state whether self-citations were excluded). There are fewer data available for comparing against universities worldwide. Two Malaysian undergraduate institutions were in the top-200 list of the Times Higher Education Supplement in 2006. No OIC university made the top-500 “Academic Ranking of World Universities” compiled by Shanghai Jiao Tong University.